An advanced malware, Ransomware prevents you from accessing your PC or files until you pay a ransom. Incorporated with advanced encryption algorithms, this type of ransomware is designed to block system files and demand payment to provide the affected user with the key that will decrypt the blocked content. For example: Crypto Locker, Wannacry, Locky, CrytpoWall, etc. This malware locks the person out of the OS, making it impossible for them to access the data saved on it. Here, the files are not encrypted, but the ransomware still asks for a ransom to unlock the infected device. For example: Police-themed ransomware or Win locker. Master Boot Record (MBR) ransomware is a type of Locker ransomware. The MBR is a section of a hard drive that enables the Operating System to boot up. However, when the MBR ransomware attacks the drive, the boot process fails to complete and demands the payment of ransom as soon as possible. For example: Satana, Petya, etc. The ransomware commonly attacks your personal data such as documents, photos, audios, and videos. But what can you do to identify the ransomware attack on your device? If you get any message asking for a ransom so that you can access your data, browser, emails, or your entire device, you can identify this as a ransomware attack. Ransomware can attack your device through emails or web browsers. This is because these two can cause the download of malicious code (ransomware) that may be in the form of malicious macros, malicious scripts, or malicious EXEs. Once downloaded, the ransomware attacks and affects your device severely. The number of ransomware families is increasing everyday. 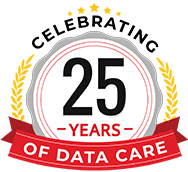 We offer accurate and cost effective Data Recovery from Ransomware infected files and folders. CTB locker (Curve-Tor-Bitcoin Locker) or Critroni, is an example of file - encrypting ransom ware infections. Onion ransomware is a type of virus from the Dharma ransomware family, and also known as the Trojan-Ransom.Win32.Onion ransomware. .Wallet File Virus which is also known as Dharma Ransomware encrypts makes data stored on system making the files inaccessible. GandCrab or .Crab is a file encrypting ransomware which is distributed by RIG and GrandSoft exploit kits. Ransomware virus can be removed in some cases! Contact professionals who can decrypt your files infected with Ransomware virus. If you notice any unusual activity on your Desktop or Laptop such as automatic lock of the Desktop or Laptop screen, immediately switch off your computer. Doing so can further stop infection of your files. If your Data gets infected by Ransomware virus, recovery of your Data is still possible. 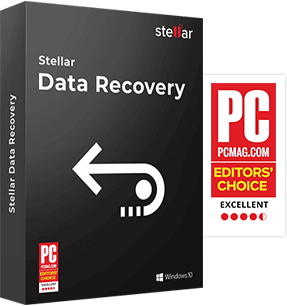 Contact the nearest Stellar Data Recovery branch. We are the professional Data Recovery service provider in India and can recover your infected Data from Ransomware virus such as Wannacry, .wallet, .locky, .ctb, .Cryptolocker, etc. How to Stay Away from Ransomware Attack? Maintain a regular backup of all your data, especially the critical ones. Use reliable security solutions and keep the System Watcher 'ON' on your system. Always keep the software solutions updated on all devices that you use. Handle emails and their attachments from senders you don't know carefully. In case of doubt, refrain from opening them. If you have a self-business, you should educate your employees to manage your data intelligently. For example, keeping sensitive data separately, restricting access, and always maintaining a backup of all your data. As ransomware is a criminal offence, report it to the local law enforcement agency when such instances strikes. What to do in case of Ransomware Attack? Infected by Ransomware virus - Want to Recover Data ? Shall I pay ransom to decrypt the files that have been encrypted by Ransomware attack? Never pay the ransom as it does not guarantee that doing so will give you access to your files again. Moreover, it could make you the target for more ransomware payment. Thus, go for ransomware removal service that can decrypt your data. Can I access my files without paying the ransom or restoring from backup? Yes, you can access your files without paying the ransom or restoring from backup. The methods are software solution and services. What can I do to protect myself from a ransomware attack? You can do the following to protect yourself from ransomware. Install and use an updated antivirus. Avoid clicking on links or opening emails and their attachments from people or companies you don't know or do not do business with. Keep a pop-up blocker running in your web-browsing applications. Regularly backup your important data. How can an email identify my IP address? Your IP address is not hidden: it exists in the email. There are several tools available online that determines the IP address. How to respond to a ransomware attack? Disable internet connectivity from all servers or PC to ensure there is no further encryption of data as the ransomware will be unable to reach the command and control servers. If the ransomware is associated with time limit then set BIOS clock back. You can also reach out to Stellar Data Recovery Experts immediately.